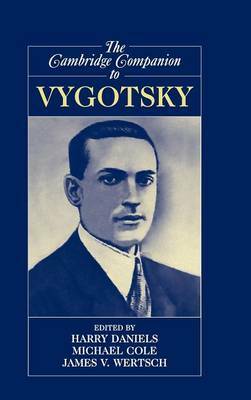 L. S. Vygotsky was an early-twentieth-century Russian social theorist whose writing exerts a significant influence on the development of social theory in the early-twenty-first century. His non-deterministic, non-reductionist account of the formation of mind provides current theoretical developments with a broadly drawn yet very powerful sketch of the ways in which humans shape and are shaped by social, cultural, and historical conditions. This dialectical conception of development insists on the importance of genetic or developmental analysis at several levels. The Cambridge Companion to Vygotsky is a comprehensive text that provides students, academics, and practitioners with a critical perspective on Vygotsky and his work.